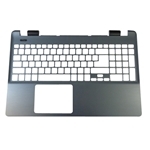 Description: New genuine Acer laptop iron upper case palmrest. This listing is for the upper case palmrest only. It does not include the touchpad or the keyboard. This may be the part you need to replace your cracked or broken upper case. Compatible Part #'s: 60.MLVN2.001, FA154001120-2. 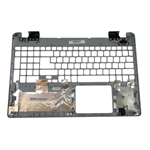 Acer Aspire E5-511, E5-511G, E5-511P, E5-521, E5-521G, E5-551, E5-551G, E5-571, E5-571G, E5-571P, E5-571PG.